About a month ago, the Pittsburgh Steelers appeared to be in control of the AFC North, and like a team ready to contend this season. But after losing three in a row, they are just glad they still have a shot to win the division (with a win and a Ravens loss). The New Orleans Saints are facing a much different scenario this week. They have already locked up a playoff spot and their division. However, should they beat the Steelers Sunday, they will have a first-round bye and home-field advantage throughout the playoffs. After consecutive losses to the Broncos, Chargers, and Raiders, the future had begun to look pretty grim for the Steelers. However, with the win over the Patriots last weekend, the Steelers regained control over their own destiny. But with a much tougher opponent on deck for this week, can they step their game up and down the mighty Saints? Thanks to the Cowboys and the Panthers, the trick to beating the Saints is not a secret. You have to keep Drew Brees off the field and when he is on it, you can’t give him too much time to survey the field. You also can’t allow Mark Ingram or Alvin Kamara to break into the open field. Oh—and try to cover the Saints receivers (especially Michael Thomas) as tight as you can without interfering. So, basically, you have to control the ball and play near picture perfect defense. That’s all. From an offensive standpoint, the Steelers may be able to hold up their end of the bargain. Rookie Jaylen Samuels was able to run for 142 yards last week against the Patriots. But it will be much harder to gain yards against the Saints No. 1 ranked run defense. But the Saints are not great against the pass (28th). Ben Roethlisberger is still one of the better quarterbacks in the league and has two of the best receivers in the NFL to work with (Antonio Brown and JuJu Smith-Schuster). 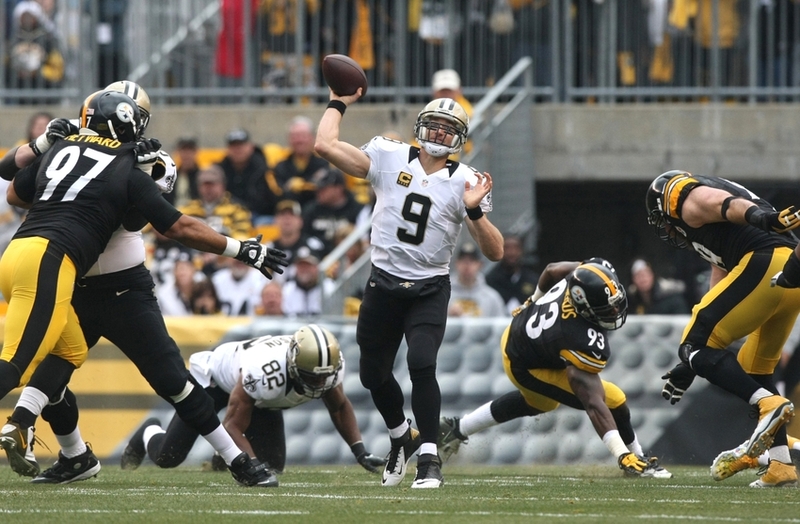 While it will not be easy, the Steelers could move the ball well against the Saints. But can the stop the Saints from doing the same against them? If the Steelers defense can play like it did last week against the Patriots, then the answer would be yes. Yes, they can stop the Saints. They will also need to get the running game going with Samuels again to keep Drew Brees from working his magic. But against the Saints run D, that is easier said than done. The Saints have struggled in recent weeks scoring just 16.7 points a game (in their last three); they had averaged 37 points/game in their first 11. Against the Steelers, they will likely need more than 17 points to win. Yes, while the Steelers are a good team, the Saints are a better one. Look for the Saints to win. But it will likely be a good, close game. Take the Saints straight up but the Steelers against the spread (+6). As for the over/under (53), defense will factor into this game but not nearly as much as it did last weekend for both. Take the over.